The Vespa returns to India at a time when sales of scooters are on the rise, as Indian families, particularly women, are looking for trendy, affordable and easy-to-ride two-wheelers.Piaggio exited the country in 1999, ending a 16-year-long partnership with India's LML Motors after a long dispute. 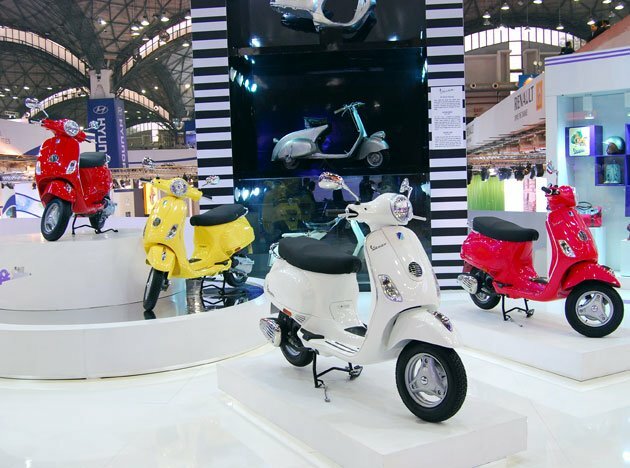 Italy's iconic Vespa scooter, a rage with the Indian middle-class in its heyday, re-entered the country on Thursday after a 13-year hiatus as scooters come back in vogue. Auto-making giant Piaggio has brought to India the LX125 -- a high tech, gearless scooter -- to take on competition from rivals such as Honda, TVS, Suzuki and Yamaha in the fast-growing market.